There is one more chapter in the great story of one of the best builders of all time.Â Come see it today! Starting this July 1st, now available on DVD for the first time from HIT Entertainment and Lionsgate comes the next chapter in the fun lives on a great builder and his Can-Do Crew.Â Build The Builder â€“ Letâ€™s Build The Beach is ready to construct a new and wonderful way of life in your living room and your childrenâ€™s minds.Â Bring home this hit DVD today! In this collection of shows, there are two new team members of the Can-Do Crew.Â Splasher, an amphibious vehicle, and Bristle, a street sweeper are ready to make thing happen.Â There are five episodes included in this disc.Â The first episode is â€œLoftyâ€™s Comet.â€Â In this episode, the Crew is building an observatory to see the comet, but Lofty gets stuck on the hill and he needs to be rescued.Â The second episode is â€œSpud And The Hotel.â€Â In this episode, Spud decides to help out at the hotel and gets burned out.Â The third episode is â€œTumblerâ€™s Perfect Promenade.â€Â In this episode, they create a Walk of Fame.Â The fourth episode is â€œClean As A Whistle Bristle.â€Â In this episode, Bristle begins to work with the Crew.Â The fifth episode is â€œSuper Splasher.â€Â In this episode, a brave water rescue takes place. As always, this show is delightfully fun.Â The characters are smart and colorful, the stories are compelling and the messages are always great ones. Build up your children with this delightful look at teamwork. 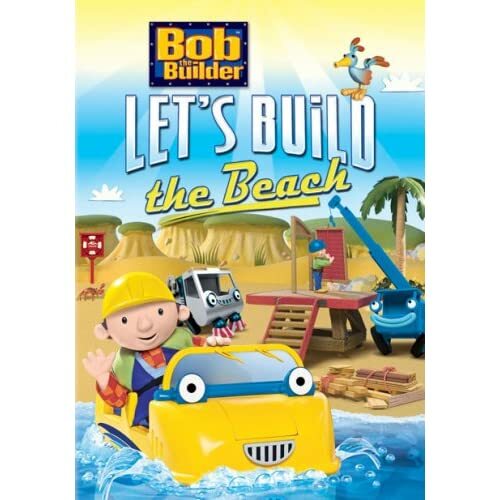 No user commented in " Movie Review: Bob The Builder â€“ Letâ€™s Build The Beach "